When it comes to urban and rural customers in the USA, there are as many similarities as there are differences. The challenge of marketing to each of them rests not only on understanding the similarities or these two groups, but also learning how the differences can help marketers better communicate directly to them. U.S. Department of Agriculture defines “rural” as everything outside of a metropolitan area. The USDA defines “metropolitan” as any county which has a city of 50,000 or more residents and its immediate adjacent counties. When the USA was founded, over 90% of the population lived in a rural area. 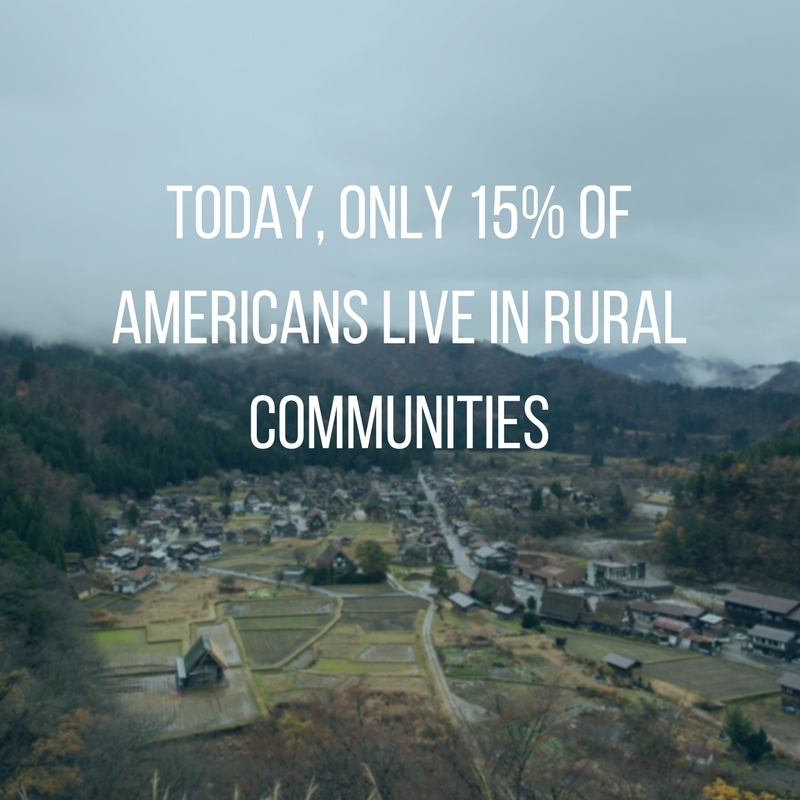 Today only 15% of Americans (around 60 million) live in rural communities. There are roughly 250 million Americans living in urban areas. Los Angeles has the nation’s highest level of density with roughly 2700 people residing in each square mile. In an increasingly divisive landscape, it’s easy to draw lines between rural and urban Americans. And to an extent, many of the stereotypes surrounding both urban and rural populations can be explained by examining the economic and social contexts in which both populations live. Despite the rhetoric frequently thrown around online and in real life, there are similarities between urban and rural consumers, and context that drives both of those similarities. And while there are key differences between how urban and rural shoppers make decisions, we can also examine what drives those differences. Marketing professionals are keenly aware that one of the major influences on the buying behavior of Americans is characterized by the cultural impact of their separation into urban vs. rural customers. Globalization has also created many similarities which may not be evident when viewed culturally, but when viewed on a spreadsheet these similarities become evident. In other words, both urban and rural customers live in communities that have roughly the same social structure, and those structures tend to behave in similar manners within each of their own differing contexts. Poverty is more prevalent in rural areas – Statistics show that urban poverty tends to be more concentrated because of the nature of cities themselves, and thus it is more visible as a result. But rates of poverty have long been higher within rural communities, which is worth taking into account when considering marketing approaches in non-urban areas. Disabilities are higher in rural areas – The percentage of urban Americans with physical disabilities is a little over 11% whereas it is above 17% for those in rural communities. The takeaway for marketers gauging customers’ behavior is quite simply that disability matters in rural America. Job growth is stronger in urban areas – Translated into customer behavior this reality means that for the rural customer, the Great Recession has not yet ended. A number of factors are behind this phenomenon from mechanization to global influences, but at the end of the day marketers must keep in mind that there is simply less buying power in rural America, and customer behavior reflects this objective reality. Entrepreneurs are prevalent in rural areas – One of the biggest differences between the U.S. economy and most others is the number of small start-up enterprises that spring into existence every year. Americans have an entrepreneurial spirit, and this is definitely true in rural America despite the other economic challenges mentioned above. In fact, it is the very absence of industry and salaried job openings in most rural communities that is driving the entrepreneurial surge in these areas. It is frequently the only choice rural residents have to generate new income streams. And it’s a reality marketers are well served to be aware of. Are surveys doomed? Most polls were actually wrong. So What? The bottom line is that the traditionally conservative buying habits of rural America reflect the objective economic context of their lives, just as the somewhat more free-flowing lifestyles and buying behaviors of urban Americans reflect theirs. The challenge for today’s marketers is to know both urban and rural communities’ objective similarities and differences and approach the respective customers accordingly.